China’s modernization came later than most. By the beginning of the twentieth-century, Japan had instituted the Meiji reforms, albeit under considerable duress, and stood as the principal power in Asia. China, suffering under their ancient history and a somewhat complacent Qing Dynasty, had stalled. Reforms, mostly in the form of political capitulations and contained rebellions, had little consequence. The structure of society itself would have to change, but that would mean total revolution, and those in power had little interest in that. 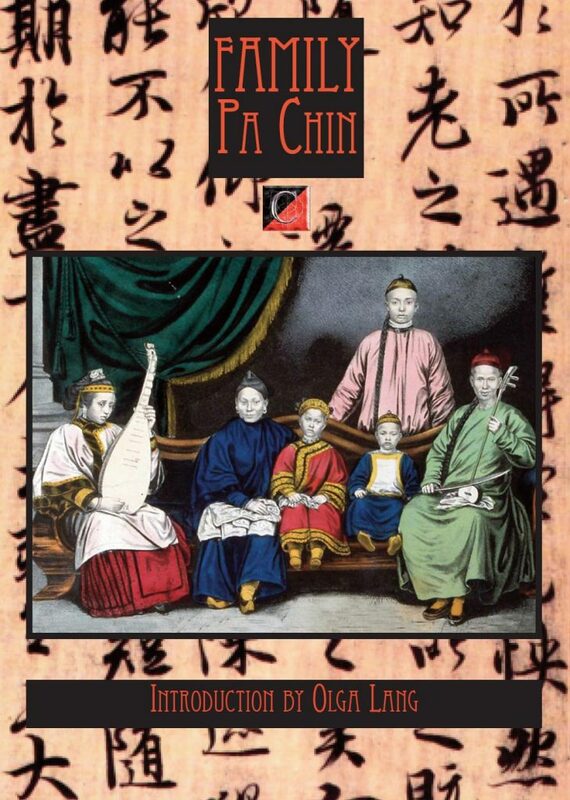 It was in this environment, the year 1931, that Pa Chin published his celebrated novel Family. The novel presents its reader with a clear window into the “struggle for the liberation of youth and women from the fetters of the old patriarchal family system.” It exposes the birthing pains of modern China. The novels principal characters are three brothers, Chueh-hsin, Chueh-min and Chueh-hui, each of which faces rising challenges squaring life at home, with all its antiquated morality and hierarchical dependency, with nationalization and liberation movements issuing out of Beijing and Shanghai. The brothers are like souls caught on the threshold between heaven and hell; conflicted, they juggle between their responsibility to the old system and their desire for the new. Set in Chengtu, a large city in the province of Szechuan, Pa Chin’s Family illustrates beautifully (and at times tragically) the social tension created by China’s move toward modernity. The eldest brother, Chueh-hsin, perhaps the meeker of the three, is given responsibility over his younger brothers following the death of their father. The three live in their family estate with uncles and aunts, cousins and concubines, and of course, the Venerable Master Kao, their grandfather. Though Chueh-hsin is nominally responsible for his brothers, we find out in the novel how little he is actually able to exert this charge. Owing to the delicacy of his position, he adopts the “compliant bow” philosophy promoted by Liu Pan-nung (1889-1934), which suggests not wasting “time and effort on discussion, but rather outwardly agree with one’s adversary and greet his statements with a bow.” This position at first appears possible, but as we see through the course of the story, it adds great misery to not only his life, but also the lives of those he loves most. He repeatedly sacrifices himself on the alter of filial piety, only to lose the treasures he holds most dear. Chueh-hsin is met at every step of his adult life by tragedy, and under the immense pressure, he folds. He is conflicted in that he agrees with his younger brothers that the system that holds them captive is dying, but can’t seem to muster up the courage to do anything about it. His grandfather (yeh-yeh), the symbol of dead Confucian values is simply too powerful to oppose. In a sense, Chueh-hsin’s relationship with yeh-yeh represents the early revolutions relationship with the Qing Dynasty. The eldest brother wants to believe that the Confucian system can be fixed, that the values represented within it can be transmuted and, like some philosophers stone, remade into something remarkable and relevant, but only realizes the impossibility of it too late. That book Yeh-yeh gave me—“On Filial Piety and the Shunning of Lewdness”—was still on the table. I picked it up and skimmed through a few of the pages. The whole thing is nothing but a lesson on how to behave like a slave. It’s full of phrases like “The minister who is unwilling to die at his sovereign’s command is not loyal; of all virtues, filial piety is the best.” The more I read, the angrier I became, until I got so mad I ripped the book to pieces. With one less copy of that book in the world, a few less people will be harmed by it. Chueh-hui considers the values of western civilization triumphant without completely understanding them. What he does see clearly is the dead system inside which he is caged, and without which he would soar. He embraces modernity not for its own sake, but as a means to release him and those he loves from the crushing weight of a broken system. He was a slave to his dead ancestors, to bureaucracy, to tradition. But modernity, as understood by bright-eyed revolutionaries, is certainly not its reality. Chueh-hui and his older brother Chueh-min understood that, at least as much as they were able to glean from the writings of foreign authors and thinkers. This awareness is represented vividly in Pa Chin’s account of the civil war that spilled over into Chengtu during the warlord period (1917-1927). The Kao family averted becoming victimized by the spreading violence, and for some time remained holed up in their complex, afraid of the advancing armies and their impending death. This glimpse into the brutal reality of revolution and modernization tempered the brothers understanding, one can only suspect, of what sacrifice actually meant, and how much sacrifice it would require to move the country as a whole toward modernization. Historically, China assumed an ethnocentric view of their place in the geopolitical system. As xenophobes, it is understandable that it took so long for them as a nation to accept the realities of a modernizing world. Their political and social system was proved and prided, and had accompanied them across that millennial march of time. It is patently understandable that they would then drag their heels at any prospect of change, at any hint that their system was somehow inferior or in need of reform. But what was required didn’t necessarily demand originality, only improvement. This was evidenced in Sun Yat-Sen and his three principles of change, namely Nationalism, Democracy, and Socialism. The struggle of Chueh-hui and his brothers broadly represented millions of Chinese in the early twentieth-century. It was against this backdrop that China embraced the external principles of modernization. Even though they had yet to formulate a national identity, or even what their particular brand of modernity would look like, the work of revolutionaries of previous centuries, and contemporaries, gave them hope against their seemingly Herculean struggle. Modernity has exacted a fair price from each society willing to undertake reform. WWI and II are perfectly adequate examples of that. Modernizing China though, with its billion people and unreasonable self-pride, is a different affair entirely. China had to choose its own way, on its own terms. Like Pa Chin’s protagonist Chueh-hui, China would embrace modernization or face certain death. There was no choice for Chueh-hui, only various options which seemed to lead to less tragic conclusions. So while the brothers (symbolizing China) didn’t necessarily agree on the way forward, as each ends up going in separate directions, each understood the unassailable need for change.